This charming and expansive home is where quaint country meets historic value. 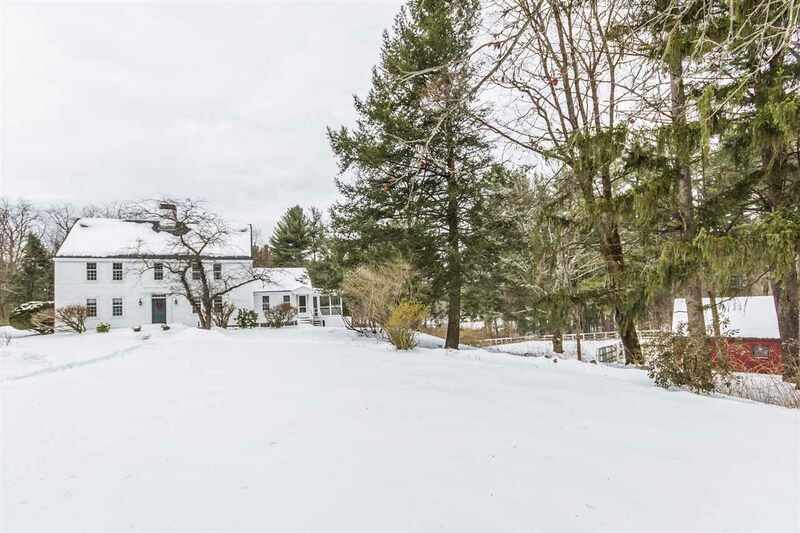 This beautiful 1736 colonial with early New England charm is close enough to town and highways for commuting but a peaceful country feel on a 5 acre lot featuring a 2 stall barn and gentleman&apos;s farm with water, a frost free hydrant, electric, and it&apos;s own SERVICE DRIVEWAY! Perfect for horses, goats, alpacas, chickens, minis, rabbits, and even peacocks! Behind the barn leads into a gorgeous pond, and several walking trails. This home is also a legal Bed & Breakfast! It has 3 fireplaces, an updated kitchen, rare KING PINE hardwood floors that flow throughout the house. Burnham heating system and whole house generator. 4-5 bedrooms, office, plus 2 bonus rooms on 3rd floor (currently not heated). Partially finished walkout basement with potential wine cellar. This home has so much potential and possibilities for an entrepreneur or just someone who simply appreciates living in the country! This is your chance to own the first framed home in Amherst!